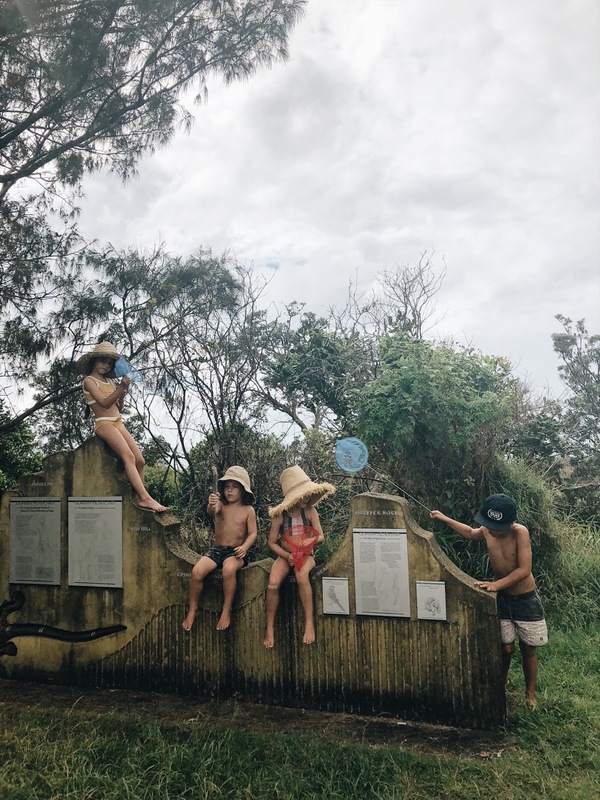 We recently spent the Easter long weekend camping at Evans Head, in the Northern Rivers region of New South Wales, with our family. We didn’t have any expectations for the location, just an open mind and the need to enjoy some quality family time in a good old fashion holiday town setting. We stayed: At Reflections Holiday Park, Evans Head. We booked three tent sites to cater for our tribe – and there are literally hundreds to choose from. This place is huge and definitely not for those wanting a quiet child-free holiday, but given we are pretty easily pleased, it was perfect. Tips: Pack your bikes, scooters, kayaks, surf boards, skateboards, fishing rods and yabby pumps. There is a river, surfing beach, skate park, open beach for four wheel driving and beautiful secluded beaches and walking tracks around Dirawong Reserve. Eat and drink: We alternated cooking dinner each night between our three families. This meant each couple only had to bring dinner for one night (note: our group camping tip!). We did eat out for one dinner at the Hotel Illawong, which has quite an impressive menu for a small town and has a playground for the kids. We’ll opt for a good espresso over the instant variety any day of the week, if its available. In Evans Head, you can find it underneath Evans Head Surf Life Saving Club at The Sandpit Café or in town at Vespas on Oak. Highlights: Chinamens Beach was definitely our favourite. You can escape the busy creek for a practically deserted surf beach, with some of the most amazing rock pools our tribe has experienced. Best wait until low tide as the eco system here was thriving with beautiful kelp, starfish and tropical fish in abundance. Getting there: Evans Head is 45-minute drive from Byron Bay or 1.5 hours from the Gold Coast Airport.